Beginning with Pega 7.2.1, batch simulations have been deprecated in favor of batch data flows, and you can no longer create simulations. You still can run existing simulations or convert them into data flows and run the data flows. However, data flows for converted simulations run in a different context from other data flows that you run on the Batch processing tab. 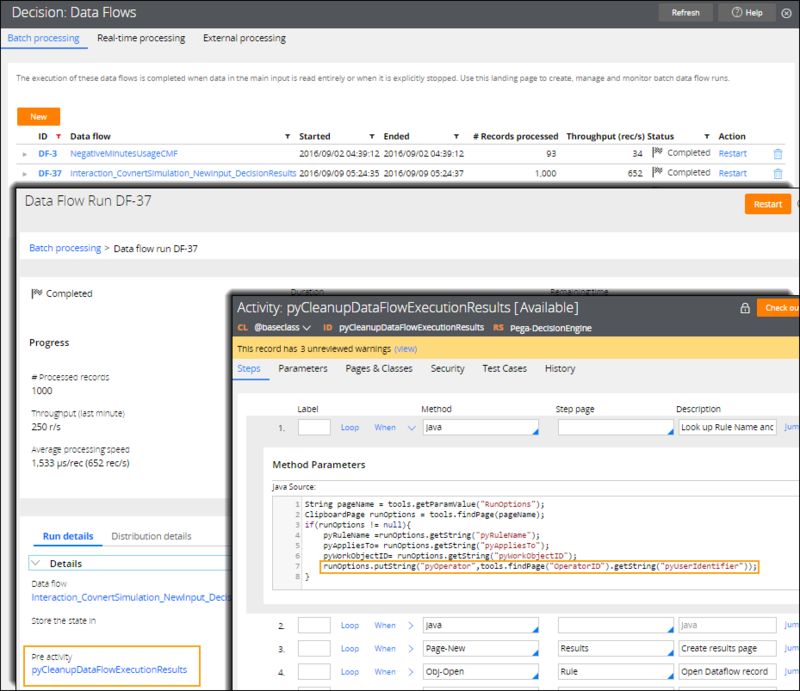 Batch data flows run in the access group context. They always use the checked-in instance of the Data Flow rule and the referenced rules. When you run a data flow that was created for a converted simulation, the data flow uses the rule instances that are edited or checked out by the operator, not the ones specified in the access group context. The difference is caused by the fact that when you run a data flow for a converted simulation, the pyOperator property is set in the RunOptions page. This is necessary to propagate properties such as pyOperator, pyOrganization, pyDivision, and pyUnit to the Visual Business Director data set. The properties become VBD dimensions that you can select in the VBD planner to construct a business view. For every data flow that is created for a converted simulation, the pyCleanupDataFlowExecutionResults activity sets the pyOperator property in the RunOptions page. 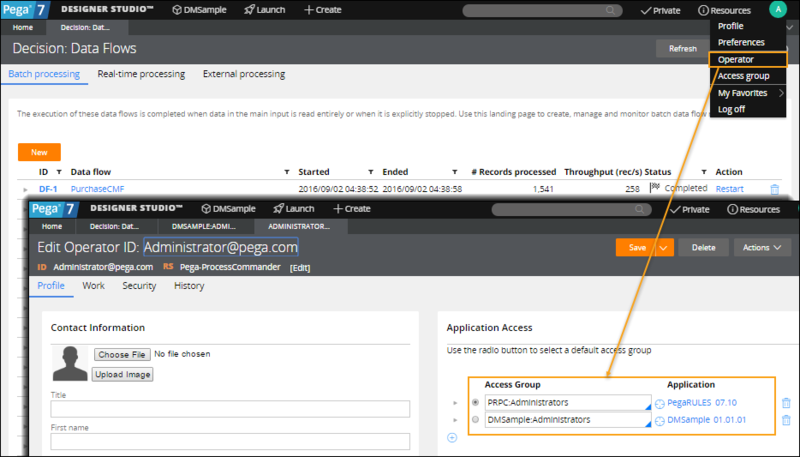 The pyCleanupDataFlowExecutionResults activity is necessary in the data flows to provide the same functionality that was available in simulations prior to Pega 7.2.1.